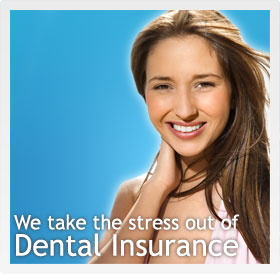 We help take the complexity out of dental insurance. Dental insurance is a contract between your employer and a dental insurance company. The benefits that you will receive are based on the terms of the contract that were negotiated between your employer and the dental insurance company and not your dental office. The goal of most dental insurance policies is to provide only basic care for specific dental services. The services selected are based on the benefits arranged between your employer and the insurance company. Because the benefits you currently have are decided between your employer and the insurance company, many services are not covered. The selection of non-covered services is not based on what you need or want, but is based strictly on the contract with the insurance company. This is why so many dental patients become confused about dental insurance. Dental insurance companies rarely cover 100 per cent of any dental fee and, in many cases, cover less that 50 per cent or nothing at all. Unfortunately, some of the services that you may need or want will not be covered by your dental insurer. Our goal is to help you achieve and maintain optimal dental care, which is not necessarily the goal of your dental insurance company. The goal of the insurance company is to provide only the negotiated benefits for the specifically selected services. We do not want to compromise our care based on restraints placed by an insurance company. Our office will do everything possible to help you understand and make the most of your dental insurance benefits. We realize that dental insurance is complex and that it is extremely difficult to understand how to make it work or even to work with certain dental insurance companies. That is why we provide as much assistance as possible. Our office will complete and submit dental insurance forms to the company and, in most cases, accept assignment of benefits to the office (insurance company will pay the office directly). However, for some procedures and certain insurance plans, our office will submit the paper work to achieve the maximum reimbursement to which you are entitled and will work diligently to make this happen as quickly as possible. In many cases, our office can submit a claim to ensure quicker response from your dental insurance carrier. Please be aware that some dental insurance companies take longer than others to complete payment. If necessary, our office will attempt to contact the dental insurance company, or we may request your help in this matter, as some insurers will only release information to the subscriber. Many insurance companies try to control the amount of dentistry you receive by requiring authorization for procedures in advance. Our office will do everything possible to help you maximize the insurance benefits that you are entitled to. In most cases, we can begin treatment prior to receiving an authorization from the dental insurance company. However, patients need to understand that in the event the dental insurance company refuses to pay for treatment, you are responsible for all fees. Naturally, we will provide you with the full fees in advance so that you know that exact cost of treatment. Any time you have a question about your dental insurance, please feel free to ask us. We recognize that dental insurance is becoming more complex and more difficult to understand every day. This is often due to the quest by dental insurance companies to reduce costs through continual changes. Keep in mind that the dental insurance companies are not concerned about coverage for optimal dental care, but provide coverage for only a limited number of basic services, or restrict services to financial limits which may not meet your required dental needs.